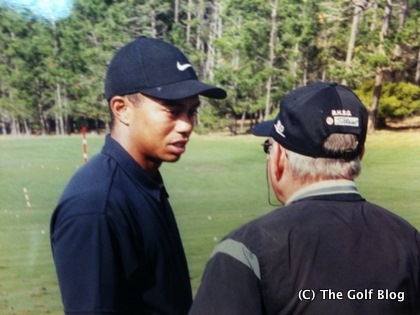 The Golf Blog » Blog Archive » The Golf Blog: Will Tiger Woods ever regain 2000 dominating form? « The Golf Blog: Was Butch Harmon the biggest loser on Sunday at the U.S. Open? The Golf Blog: Will Tiger Woods ever regain 2000 dominating form? mulligan, 23 June 2010, Comments Off on The Golf Blog: Will Tiger Woods ever regain 2000 dominating form? The Golf Blog says: The dust is settling on Pebble Beach. After flashes of absolute brilliance on Saturday, especially the 3-wood from behind 2 trees on the 18th hole, Tiger Woods faltered like the rest of the field on Sunday. Yes, Tiger appeared to be no better, no different than the rest of the field. Tiger’s performance begs the question: Is Tiger ever going to be able to dominate golf like he did in 2000-2001? Back then, Tiger won the U.S. Open at Pebble Beach by an improbable 15 strokes! He shot 12-under par, when the nearest competitor was 3-over. Back then, Tiger didn’t complain how “awful” the greens were. Tiger just devoured the course. Not so this time around. Tiger was tamed like the rest of the field was. And, in the end, he could only comment about how difficult the course was–a far cry from his former bravado at Pebble Beach. It’s disappointing, if not depressing, to think that Tiger Woods may have already peaked 10 years ago.